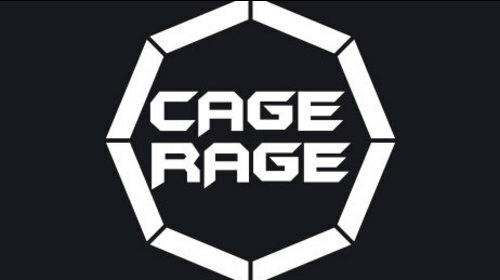 Cage Rage 9: No Mercy from 11/27/2004 full event replay. 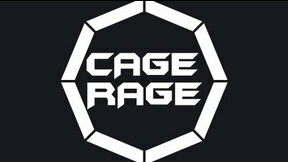 Michael Bisping vs Mark Epstein Cage Rage 9 Sat, Nov 27, 2004 (25:20) Michael Bisping vs Mark Epstein Cage Rage 9. 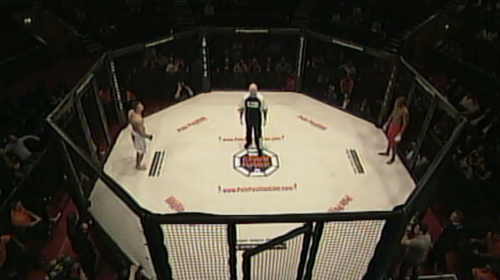 Renato Sobral vs Cyrille Diabate Cage Rage 9 Sat, Nov 27, 2004 (9:36) Renato Sobral vs Cyrille Diabate Cage Rage 9. 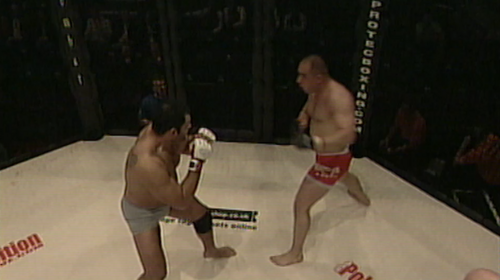 Jean Silva vs Samy Schiavo Cage Rage 9 Sat, Nov 27, 2004 (11:50) Jean Silva vs Samy Schiavo Cage Rage 9. 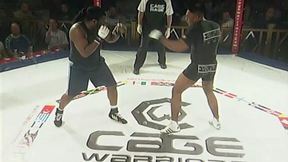 Sol Gilbert vs Ridas Vaivada Cage Rage 9 Sat, Nov 27, 2004 (9:30) Sol Gilbert vs Ridas Vaivada Cage Rage 9. 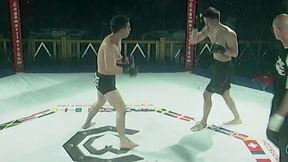 Robbie Olivier vs Dave Elliot Cage Rage 9 Sat, Nov 27, 2004 (6:59) Robbie Olivier vs Dave Elliot Cage Rage 9. 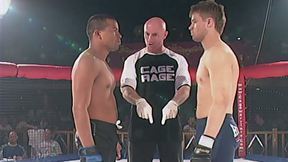 Paul Daley vs Jess Liaudin Cage Rage 9 Sat, Nov 27, 2004 (11:11) Paul Daley vs Jess Liaudin Cage Rage 9. 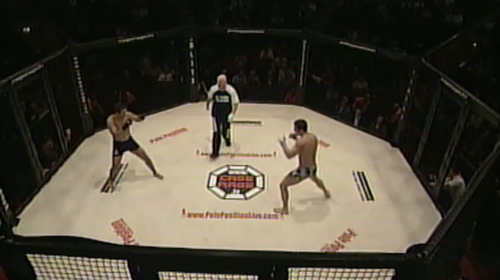 Alex Reid vs Tulio Palhares Cage Rage 9 Sat, Nov 27, 2004 (6:40) Alex Reid vs Tulio Palhares Cage Rage 9. 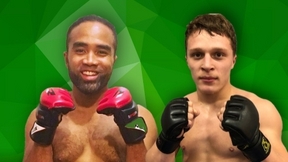 Sami Berik vs Abdul Mohamed Cage Rage 9 Sat, Nov 27, 2004 (9:08) Sami Berik vs Abdul Mohamed Cage Rage 9. Mostapha Al-Turk vs Fereidoun Naghizadeh Cage Rage 9 Sat, Nov 27, 2004 (6:18) Mostapha Al-Turk vs Fereidoun Naghizadeh Cage Rage 9. Brad Pickett vs Stuart Grant Cage Rage 9 Sat, Nov 27, 2004 (5:44) Brad Pickett made his pro debut against Stuart Grant Cage Rage 9 back in 2004. 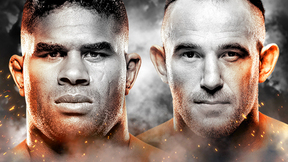 Make sure to check out his final fight inside of the Octagon on Saturday at Fight Night London: Manuwa vs Anderson. Cage Rage 7 Battle of Britain Sat, Jul 10, 2004 (4:06:36) Cage Rage 7: Battle of Britain from 7/10/2004 full event replay. 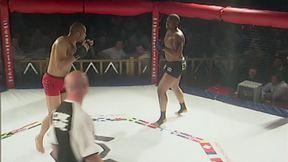 Cage Rage 8 Knights of the Octagon Sat, Sep 11, 2004 (3:27:39) Cage Rage 8: Knights of the Octagon from 9/11/2004 full event replay.